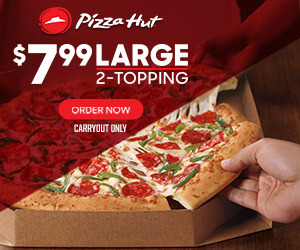 Pizza is a go-to food for just about everybody; who doesn’t like sinking their teeth into a hot, steaming pile of chewy dough, melted cheese and savory red sauce, piled high with all your favorite toppings? 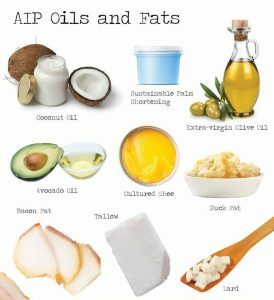 But if you’re like many of on the Autoimmune Protocol or Paleo diet, you likely find yourself craving pizza on a not-too-infrequent basis – because unfortunately, it’s just chock full of forbidden foods; gluten-filled crust, dairy-filled pizza, and nightshade-heavy tomato sauce – all of which are known to trigger inflammation and reinvigorate autoimmune conditions. 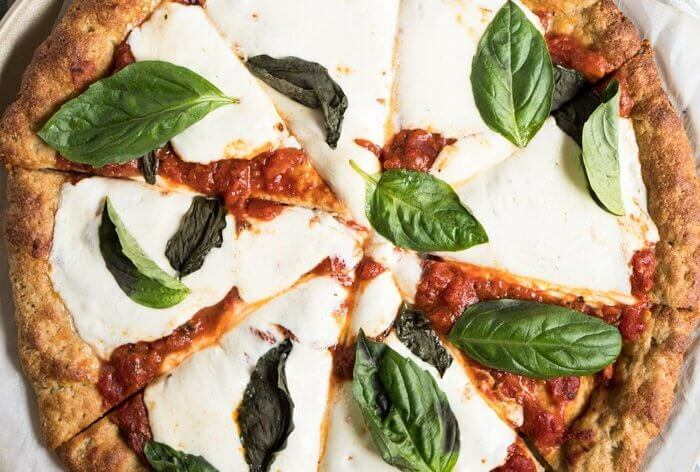 Thankfully, there are number of ways to create gluten-free, AIP-friendly pizzas that can enjoyed without a shred of guilt – or the ensuing inflammation and feeling rundown the next few days. As with a lot of AIP-friendly foods, you just have to put a little time, creativity and effort into creating some allergen-free, lifestyle-friendly alternatives. Here’s everything you need to know about creating AIP and Paleo-friendly artisan style pizza, including all the various substitute ingredients you can use and why you might choose one over the other. Best Gluten-Free Flour Substitutes For Paleo Pizza Crust: Why Gluten-Free? Gluten be problematic for people with food sensitivities, even if they aren’t celiac; it earned its reputation as one of the most inflammatory foods a long time ago and is usually one of the first eliminated. No food is truly a panacea, but countless people have reported curing a myriad of health issues simply by cutting out gluten. The same goes for all grains, actually; many people find barley, oat and rice inflammatory, and eliminating them can be an effective step onto the fast track to feeling great. So what do you do when you feel like pigging out on some pizza – everyone’s favorite crust-filled food? You make your own, using gluten-free flour. Popular choices include cassava flour, almond flour, arrowroot flour and tapioca flour, and sometimes even coconut flour. Each result in its own unique flavor and texture, and sometimes you’ll need to mix two of them together to create a dough that tastes and bakes the most like regular pizza dough. Made from the root of the yucca plant – has quickly become the most popular gluten-free flour alternative; it’s the closest substitute to regular wheat flour you’ll find, and most reliably creates doughs, cakes and breads that look and feel just like their gluten-filled counterparts. In many cases, you can simply substitute cassava flour for wheat flour at its original ratio. Many recipes, however, call for it to be mixed with another flour, such as arrowroot. Cassava flour is denser than regular flour, and create a thick, “gummy” texture when too much is used. Cassava flour lacks the vitamins and nutrients found in other flours and is high in carbs – just like regular flour. But if you want your pizza crust as classic as possible, this the closest you’re going to get. Made from the same plant as cassava flour – the yucca plant. But it’s more processed, made by extracting the starch from the root; as a result, it’s finer, lacks fiber, and doesn’t bake to the same consistency as cassava flour or regular wheat flour. As with other starches, it also lacks its own flavor. Is very similar to tapioca flour but harvested from the root of a different plant. Like tapioca flour, it doesn’t have a very strong flavor, and doesn’t rise the same way regular flour does. You’ll probably use it in conjunction with cassava flour to create a good pizza crust. You’ll also want to use much less of it than you would with cornstarch. As the name suggests its made from ground almonds. That’s it! For this reason, it’s usually relatively cheap and affordable, and easy to make at home too, if you have a fine enough grinder. Almond flour is sweet and tastes like (you guessed it!) nuts, so it’s excellent for desserts – but as with arrowroot flour, means it’s often paired with another flour for crusts and breads. And while coconut is an AIP / Paleo mainstay, it’s also loaded with fat and high in calories. Coconut flour is a lot like almond flour; it’s made from ground desiccated coconut, with a sweet flavor and a fluffy consistency; you’ll only need to use about 1/3 a cup of coconut flour for every cup of regular baking flower. It’s also super low-carb and high in fat – great for a keto diet. Combine dry ingredients in large mixing bowl and mix thoroughly. Add wet ingredients, continue mixing. Let sit for 5-10 minutes. Divide dough in half. Place one half on parchment paper roll into a round pizza crust shape. Place on baking sheet or pizza stone. Put into oven for 12-15 minutes. remove and add toppings. Return to the oven and bake until the cheese is melted. 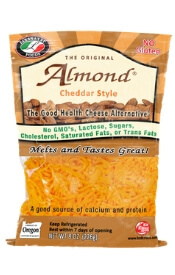 Dairy-Free Cheese Substitutes: Why Go Dairy-Free? After gluten, dairy is often one of the largest allergens or irritants for those with autoimmune issues – and is usually one of the first to be eliminated on an AIP-style diet; bad news for cheese and pizza lovers, until you find some alternatives. The most commonly used alternative cheeses for Paleolithic pizza are cashew, almond. and imitation cheeses. 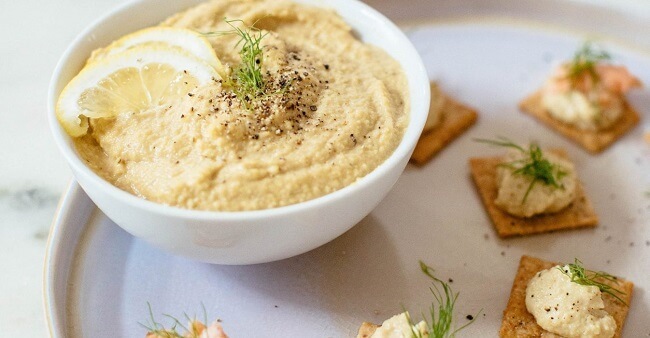 Cashew Cheese: This is a super-popular alternative for cheese lovers who can’t handle the dairy; it’s easy to make at home, has a very “cheesy” texture and similar flavor, and can be used for cheesecakes, cream cheese, and dips, in addition to homemade Paleo pizza. Imitation Cheeses: There are a variety of imitation cheese products you can grab from the grocery store, made from a variety of ingredients. 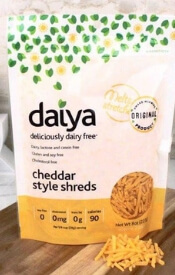 Daiya, for example, makes a delicious mozzarella-style shredded cheese that works great on pizza. It’s made from tapioca flour, coconut oil, safflower oil and pea protein, among other ingredients, and even melts and acts like cheese in the oven. It does contain xantham gum and some other ingredients that aren’t strictly AIP, however. Soak the cashews in water overnight. Rinse and drain. Place ingredients in a blender, and blend until creamy smooth. Transfer into a saucepan. Stir continually. 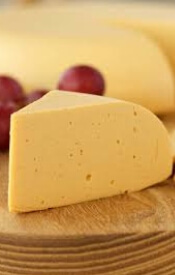 When the “cheese” has become stretchy and clumps into a ball, remove and cool off in a container. Once cool, chill in fridge for 1 hour. Slice into mozzarella slices, or shred for use on pizza. The third integral part of most pizzas is a healthy serving of tomato sauce, which adds some zest to balance out the cheese and crust. Unfortunately, tomatoes are nightshades, which are eliminated on AIP; nightshades are inflammatory for many sensitive people and can lead to some pretty nasty muscle aches and joint pain. So what are you to do for your AIP-friendly pizza? You could either try a tomato-free pizza sauce substitute or try something different – even going sauce free. This pizza sauce alternative tastes a lot like tomato sauce, especially when you use plenty of Italian herbs like oregano and basil. But it uses carrots, sweet potatoes and beets instead, which give it a similar color, consistency and zesty flavor. Good pizza sauce is a bit zesty and tangy, and sautéed red onion are an excellent way to recreate this flavor without triggering your food intolerances – or spending too much time over the stove. It’s thicker than regular pizza sauce but still spreads easily across the gluten-free pizza dough of your choice. Blend all ingredients tougher in food processor for 30 seconds, or until smooth, scraping down the sides of the processor so everything is evenly blended. Many Italian pizzas – like the classic Margherita – make use of hearty servings of olive oil, drizzled all over the cheese and sauce. You can just use olive oil instead of sauce; a healthy drizzle topped with salt, veggies (chopped onions and greens, especially) and pepperoni will add some classic Italian vibes without compromising the allergen-free makeup. Here are some other Paleo-friendly was to add dimension and flavor to your pizza or sauce. This is the easiest and simplest way to enjoy a classic pepperoni pizza while sticking to an AIP diet. Just take our favorite Paleo crust above, use that delicious Nomato pizza sauce, and throw on some cashew mozzarella and all-natural pepperoni slices. Be sure to bake the crust for 10-15 minutes before removing, putting on the sauce and toppings, and baking another 5-10 minutes or until the cheese has “melted.” Then slice, serve and enjoy! Bacon and spinach? What kind of combo is that? A delicious one, that you need to try. All you need to finish is a couple handfuls of fresh baby spinach and a half-pound of bacon. Just tear the bacon in small pieces and throw it (and the spinach) on top of our favorite Paleo Pizza Crust, that has been slathered in Nomato sauce. Easy and delicious! This another favorite recipe out there. You’ll need to first create some AIP-friendly pesto (recipe above) and can then pair it with our Paleo Pizza Crust. Finish with veggie toppings of your choice: red onion, Greek olives or Fresh Mixed Greens. Zesty, delicious and healthy – what’s not to love? What are the different kind of pizza flavors? Copyright text 2019 by Kitchen Pizza Co.